It's no mean feat to make maths entertaining, yet teachers like Tan Choon Shing and Lily Soh push that envelope for their pupils and students. Here's a chance to test your deductive abilities with a more entertaining maths-based question. It is typical of the type of questions used by Mr Tan Choon Shing for his Primary 6 students. After a previous run-in with a crook, Detective Merdi receives a letter. The letter has no return address and the name on the letter has been formed with cut-out letters from several sources. "Superb!! I CAN SEE YOU ARE HAVING FUN. I COULD NOT IMAGINE ANYONE COULD SOLVE MY CODED MESSAGE SO QUICKLY. GET READY FOR ANOTHER ROUND OF EXCITEMENT AGAIN." 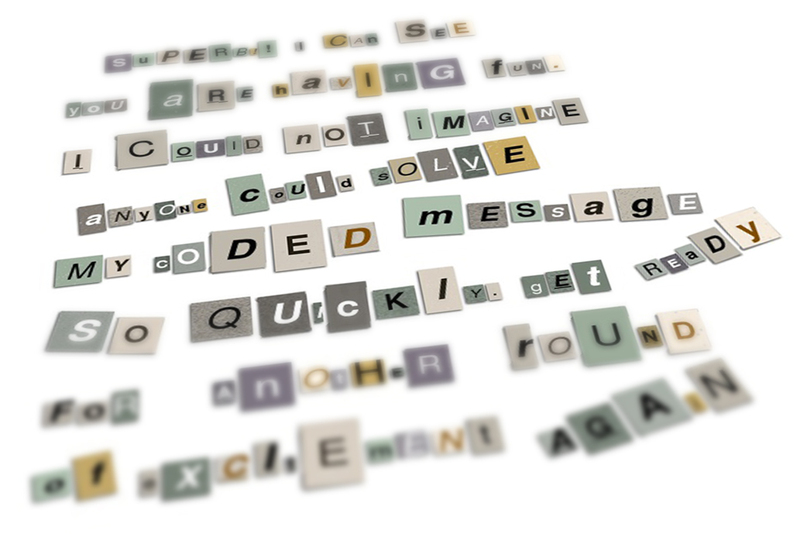 The crook then left another coded message for Detective Merdi to decipher and this coded message uses the type of code that is based on a familiar keypad. This key may or may not have a Q or a Z on it. Detective Merdi begins to scrutinize the coded message. He takes out his phone and after a while begins to smile. It takes him very little effort to decipher the crook's brief message. When he does, he is a little miffed. The crook is not only a felon, but a sore loser too. Detective Merdi continues to slurp his Big Gulp while trying to imagine what tricks the crook has up his sleeve next. Case closed for Detective Merdi but not for you, Math Sleuths………Your turn now! 1. What is the coded message?